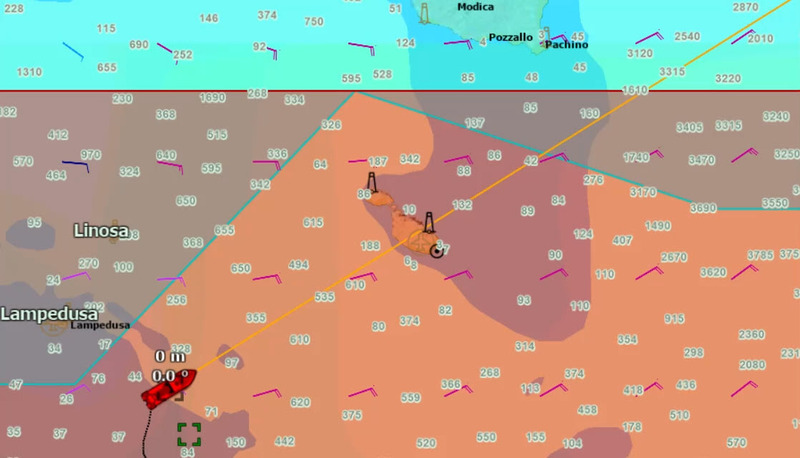 Aquarius confirms distress case of a small fiber glass boat heading north at a position of 33°32.9′ N, 011°58.1′ E as boat can be seen bailing out water. According to the SAR Convention (1979), all information concerning a vessel in distress will be forwarded to the rescue co-ordination center concerned. 4.2.3 Any authority or element of the search and rescue service having reason to believe that a person, a vessel or other craft is in a state of emergency shall forward as soon as possible all available information to the rescue co-ordination centre or rescue sub-centre concerned. According to the SOLAS Convention search and rescue units should proceed immediately to the distress event and inform the relevant rescue co-ordination centre. subcentre in whose area the incident has occurred”. Aquarius sends PAN-PAN message to all ships on VHF channel 16 regarding rescue of a small fiber glass boat and provides position. “While patrolling M/V Aquarius2 investigated a boat in position 33-28.6N 011-58.1Eat 0600Z. I am reporting to you that the situation is assessed as highly dangerous for the people on board. It is a small white boat fiber glass boat with approximately 10 people on board. I have every reason to believe that the Distress phase exists, because the target is an unseaworthy boat, without any life-saving appliance such as lifejacket or liferaft. 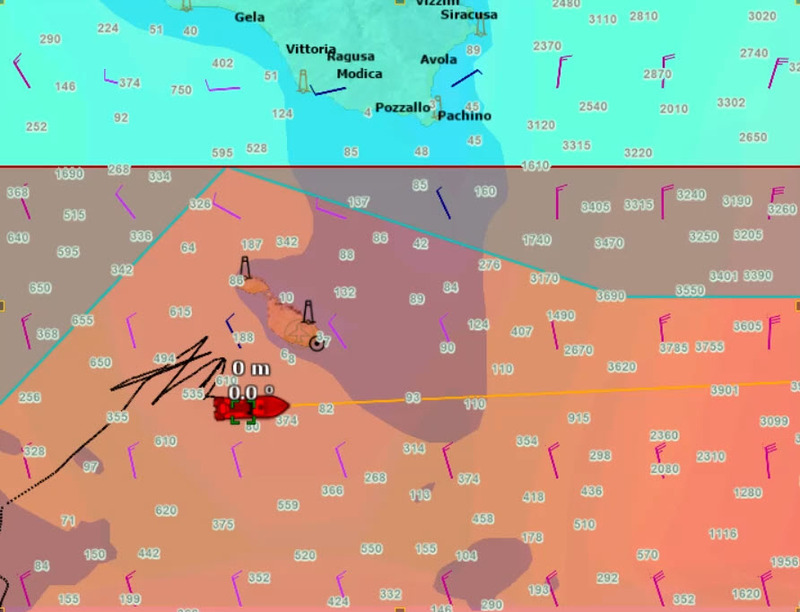 According to the sailing conditions and the weather conditions, I have every reason to believe that the people in distress are already weak, sick and potentially injured. I am currently deploying the fast rescue crafts. As per the UNCLOS, SOLAS and SAR Conventions, I therefore inform you that M/V Aquarius 2 will provide immediate assistance to these people in distress and rescue them without delay. My ship has the capacity to recover all of the people, to provide medical care and to transfer them to a place of safety in a reasonable period of time. Rescue operation of 11 people completed and small fiber glass boat is marked as “SAR”. Aquarius informs ITMRCC via email of the completion of the rescue of 11 people. Aquairus informs ITMRCC that it tried to contact JRCC Tripoli via email, phone and VHF but received no reply. Libyan JRCC assumes coordination of SAR event in email to Aquarius and orders Aquarius to procede to transfer all rescued people to Libyan Coast Guard patrol boat. “As Libyan authority I assume coordination of event in subject. Aquarius informs Libyan JRCC, ITMRCC and RCC Malta by email that it cannot proceed to transfer due to Libyan ports not conforming to the definition of places of safety. Please be informed that following the assessment of the situation, and because of the necessity to provide immediate assistance without delay to the people in distress, I have performed the rescue of the SAR Case. I am currently patrolling with  survivors on board, under medical care. Most of the survivors are physically or mentally deeply traumatized. Libyan Coast Guard requested us to transfer the survivors to their vessel to bring them to a Libyan port. I have all the reason to believe that none of the Libyan ports are a place of safety for the survivors. I also have all reason to believe that a transfer operation would jeopardize the safety of the rescued people and my crew because of a risk of panic. Therefore, as per the SAR Convention we cannot and should not transfer rescued people to Libyan Coast Guard and I request you to help to provide us a place of safety for disembarking the survivors of the SAR Case within a reasonable time. My ship has the capacity to provide adequate medical and humanitarian care to the survivors. Libyan JRCC answers Aquarius by email and requests that Aquarius contact another MRCC or its Flag State. Following your email, where you assess that “none of the Libyan ports are a place of safety for the survivors”, and considered that you don’t want to cooperate with Libyan Coast Guard, as Authority coordinating SAR operation in area. Considering, also, that we don’t received a distress call, but you took these people, independently without any order from LCG. Now I kindly suggest to you to contact another MRCC or your Flag State. Aquarius confirms good receipt of Libyan JRCC’s previous message and informs it will contact other competent authorities to request a place of safety. Aquarius reasserts that it attempted to establish contact with JRCC by several means before launching rescue operation. Aquarius requests place of safety to ITMRCC and RCC Malta. Aquarius 2 would like to request a place of safety for the disembarkation of the 11 rescued people from today’s rescue in the Libyan SRR. This RCC has been in copy of all the emails between JRCC Libya , Aquarius 2, and I am sure you are aware that JRCC Libya has asked Aquarius 2 to contact another MRCC to provide assistance. I thank you in advance for any assistance you can provide in finding a solution for a prompt disembarkation at a place of safety. The Italian MRCC responds to Aquarius via email that it will not provide a Place of Safety. Please be informed that the Aquarius 2 conducted a SAR event within the Libyan SRR two days ago on the 20th of September. Initially, after identifying a boat in distress we tried to contact the JRCC Libya via phone, VHF and email without success. The first and only RCC that responded prior and during the rescue was the Italian MRCC. They informed us that they would refuse coordination and would contact the Libyan authorities leaving the Aquarius 2 without help. Later and shortly after the call with the Italian maritime authorities, the Aquarius 2 received an email from the Libyan Navy Coast Guard requesting that we rendezvous bordering Libyan territorial waters with a patrol boat to disembark the 11 survivors on-board. This would clearly have meant the return of these people to Libya. Considering the determinations of multiple international bodies Libya cannot be considered as a Place of Safety (POS). In response to this information, the Libyan Navy Coast Guard kindly suggested that we contact other MRCCs. In the Interim, Malta has informed us “that it is neither the appropriate nor the competent authority to provide [the survivors on the Aquarius] with a place of safety.” The last communication with the IMRCC stated that: “Italian authorities will not provide POS in Italy because the SAR case was not coordinated by the Italian MRCC.” As you know in your expertise, from the IMO annex 34 adopted in 2004 other RCCs are to be contacted for assistance if difficulties arise. Although it is the responsibility of an RCC to either ensure the prompt provision of a POS or involve other authorities, we are concerned that you may not have been contacted. In light of this concern, we felt it advisable to share these troubling events with you and seek guidance in your roles as competent RCCs. See attached the full situation report and details regarding the rescue. Further information can also be gathered at onboard-aquarius.org. The situation on board is stable for the time being and our medical team (2 doctors, 2 nurses and 1 midwife) continue to treat the 11 survivors. While waiting for a POS we remain in International waters and will continue to respond if any maritime distress situation occurs in full respect of international maritime law. Please acknowledge receipt of this email at your earliest convenience. Aquarius receives Iridium phone call from NGO Alarm Phone, speaking of a wooden boat carrying approximately 50 people heading North from Zuwara, including 20 women, taking on water. 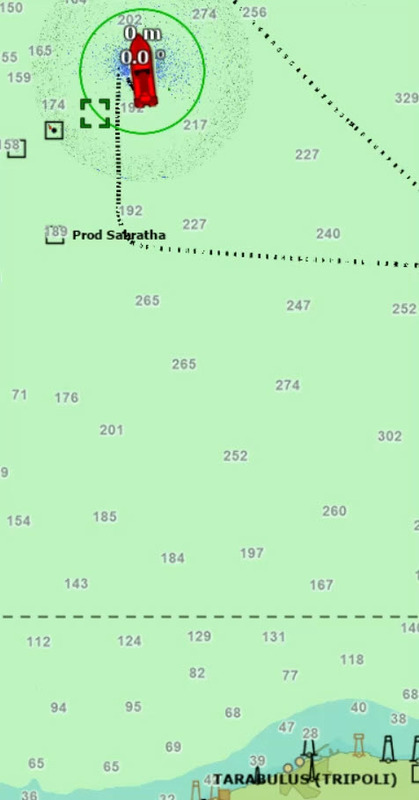 The boat is reportedly in position 33°05’0N, 012°12’5 E. Aquarius is in position 33°36’3 N, 011°57’5 E.
Aquarius informs ITMRCC of the call from Alarm Phone signaling the distress case of a wooden boat containing approx…. Aquarius informs ITMRCC of the call from Alarm Phone signaling the distress case of a wooden boat containing approx. 50 people. The boat is 30 NM miles south of Aquarius. Aquarius gives ITMRCC its current position 33°36.1N, 011°57.6E. Aquarius informs it has tried contacting JRCC Tripoli, Interim 24h. ITMRCC says it will contact the Libyan Coast Guard and asks Aquarius to contact the Libyan authorities again. Call to ITMRCC, informing that Aquarius still has not managed to establish contact with JRCC Tripoli. ITMRCC informs that Aquarius can contact ‘Patrol boat Al Khifa’ for instructions on how to proceed. Aquarius confirms receipt of information and indicates it will continue informing ITMRCC until Libyan authorities take coordination of the event. LCG calls Aquarius and Patrol boat al Khifa states that it is the on-scene commander. Libyan Coast Guard calls on VHF channel 16, requesting Aquarius’ position. Aquarius provides position: 33°28’4 N, 012°04’4 E. Patrol boat al-Kifha says that it is around 30 NM from Aquarius and is heading towards Aquarius’ position. Patrol boat al-Khifa states that it is the on-scene commander. Email from Aquarius to ITMRCC and JRCC Tripoli confirming that Aquarius has had contact with Patrol boat Al Khifa. Email from Aquarius to ITMRCC and JRCC Tripoli confirming that Aquarius has had contact with Patrol boat Al Khifa…. Email from Aquarius to ITMRCC and JRCC Tripoli confirming that Aquarius has had contact with Patrol boat Al Khifa. Aquarius informs that it will continue to inform Patrol boat Al Khifa on the unfolding on events. Call on VHF to Patrol boat Al Khifa. Patrol boat al Khifa responds. Aquarius informs that it is altering to the south to conduct a search pattern. Patrol boat Al Khifa gives green light to conduct search pattern. Patrol boat Al Khifa is 3 NM from Aquarius’ stern. Aquarius calls Patrol boat Al Khifa by VHF to inform about potential target on radar. Aquarius says it will keep LCG informed. In a situation of distressl, according to international maritime law, a vessel must proceed as fast as possible to the scene of distress. Therefore, Aquarius explains it cannot move 5 miles away as people are currently in distress and need to be assisted. Lifejacket distribution is started. RHIBs inform there are 14 women and 16 children on the boat. Aquarius calls LCG requesting that women and children can be disembarked to Aquarius. Patrol boat Al Khifa reaches out but the communication is broken. Aquarius reiterates that it wishes things to slow down for the time being to Patrol boat Al Khifa , maintaining that “we understand your instructions”. LCG calls Aquarius and threatens Aquarius. Patrol Boat al Khifa asks if Aquarius would like to visit Tripoli: “good morning, did you speak to ?? ?, have you been in Tripoli town before? What do you think if you go to Tripoli there? Staying there one or two weeks with us? How would you like to go to Tripoli?”. Aquarius replies it would like to solve this problem now, in a safe manner for everybody. Aquarius further asks Patrol boat Al Khifa for instructions as to what to do. LCG asks Aquarius to go 15 NM away from the distress scene. Aquarius requests to be allowed to bring sick women and children who are on the RHIB onto Aquarius. Patrol boat Al Khifa asks who gave Aquarius these instructions. He adds “you did not comply with our instructions…. LCG has approached to assess the situation. They ask Aquarius to stand-bye. Aquarius tells RHIBs to slowly pull back. Instructions are that everyone should remain calm and not be provocative. LCG calls Aquarius and says it should stay 80 NM from the shore, otherwise they could face legal action in Tripoli. Patrol boat Al Khifa says to Aquarius “you made a big problem, we are not able to take the people onboard because you started taking people. So we will leave the situation to you. You will then immediately go away from the Libyan coast at 94NM, you have disrupted operations in this area, you are not welcome here”. Patrol boat Al Khifa says “end result is positive do you confirm”? Patrol boat Al Khifa says “end result is positive do you confirm”? Aquarius confirms. Patrol boat Al Khifa repeats that Aquarius should head 94 NM from Libyan coast, outside of Libyan SRR zone…. Patrol boat Al Khifa repeats that Aquarius should head 94 NM from Libyan coast, outside of Libyan SRR zone. Aquarius confirms it will comply. Aquarius sends email to JRCC Tripoli and ITMRCC updating them about the completion of the rescue of 47 people…. Aquarius informs Spanish and French MRCCs about the completion of the rescue of the morning of the 23 September…. Aquarius informs Spanish and French MRCCs about the completion of the rescue of the morning of the 23 September. Aquarius updates authorities that there are currently 58 survivors onboard (taking into account the 11 survivors from the rescue of the 20 September), and requests coordination for the search and rescue event. INMARSAT alarm to all ships signaling the distress of a boat of 100 people, reported to be sinking north of al Khoms at the last known position of 33 14 N, 014 08 E, at 17h35. Message says to contact JRCC Libya via IMRCC Rome. Aquarius calls ITMRCC to enquire about INMARSAT message. Aquarius is 100 NM away form position of distress. Aquarius informs that it already tried contacting JRCC but without success. Aquarius 34°27’5 N 012°37’7. Aquarius sends email to ITMRCC and JRCC Tripoli to inform that it will proceed to the boat in distress, signaled by the INMARSAT message. Aquarius provides ETA and current position. Aquarius received inmarsat C distress alert from JRCC Libya via ITMRCC for boat in distress, sinking, at pos. 33-14N 014-08E with approx. 100pax on board. Aquarius has informed ITMRCC via phone that Aquarius is responding. Aquarius current pos. is 34-27.4N 012-38.6E. We are currently going to max. speed. ETA 0130Z 24Sep. Aquarius will be standing by for any updates and instructions from either RCC. Aquarius overhears Italian Military Aircraft calling merchant ship on channel 16, giving it orders to divert to position 33°12’ N, 014°03’8 E, the position of the boat in distress. Italian military aircraft informs it is a rubber boat with approx. 50 people and it urgently needs assistance. The aircraft informs it has shot one SAR kit from their aircraft. The merchant ship confirms it will need 4 hours to reach the requested position. INMARSAT distress alert is sent to all ships containing same information about a sinking boat containing approx. 100 people and requesting all ships in the area to proceed immediately to the position provided. Aquarius calls ITMRCC to inform it is 1.8 NM from distress scene and ask for more information. ITMRCC replies that this SAR event is under the coordination of Libyan coast guard. Aquarius says it is impossible to contact JRCC Tripoli and on the INMARSAT message it says to contact JRCC via ITMRCC on this number. ITMRCC says that the Libyan coast guard intercepted the people from the rubber boat but that they have no other information, “but the LCG rescued all the people”. Aquarius says its most updated information is about an Italian military aircraft dropping SAR kits and reporting bodies in the water. ITMRCC replies this case is under responsibility of the Libyan JRCC. Aquarius repeats that the INMARSAT message indicates to contact the JRCC Libya via the ITMRCC. Aquarius repeats that contact with JRCC Tripoli is impossible and that it was confirmed with the ITMRCC duty officer earlier to proceed to the distress scene despite the distance Aquarius would need to cover. ITMRCC says that the LCG rescued the people, but that it is unclear how many people. ITMRCC is unable to confirm that there have been no deaths. 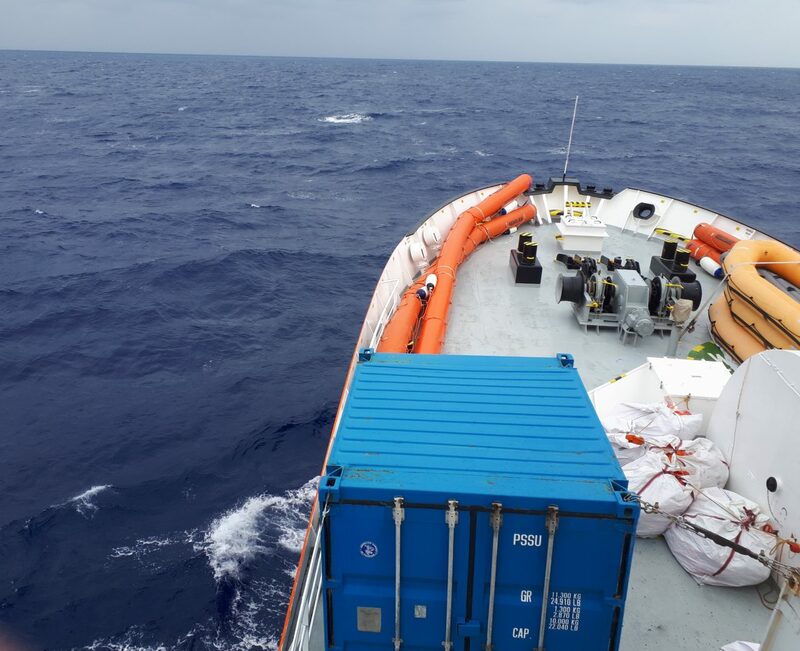 After investigation, the empty life raft shows traces of people having used it, since it contains 1 t-shirt and the emergency kits have been used. “Dear Sirs, At present, the Aquarius 2 is heading north with 58 survivors aboard. We acknowledge your past responses…. of the survivors on board the Aquarius 2. Aquarius responds. Maritime patrol aircraft says that they are trying to contract *** **** who should be in the vicinity of a rubber boat in distress and tasked to conduct a rescue by MRCC but cannot be located. Maritime Patrol aircraft asks Aquarius if they have had contact with *** ****. Aquarius replies negative. 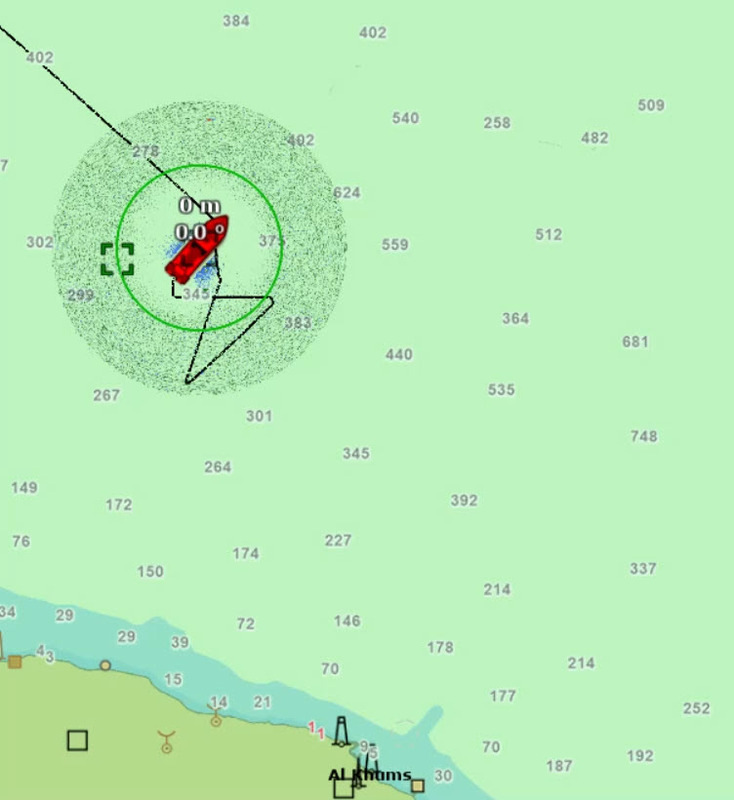 The position of the rubber boat in distress is 33°35’4N, 012°27’E and it is heading north at a speed of 5 to 6 knots. 50 NM from Aquarius’ current position. Aquarius calls ITMRCC to inform about the maritime patrol aircraft regarding a boat in distress close to Sabratah oil field. Aquarius asks for instructions. ITMRCC says that the Libyan JRCC is coordinating this case. 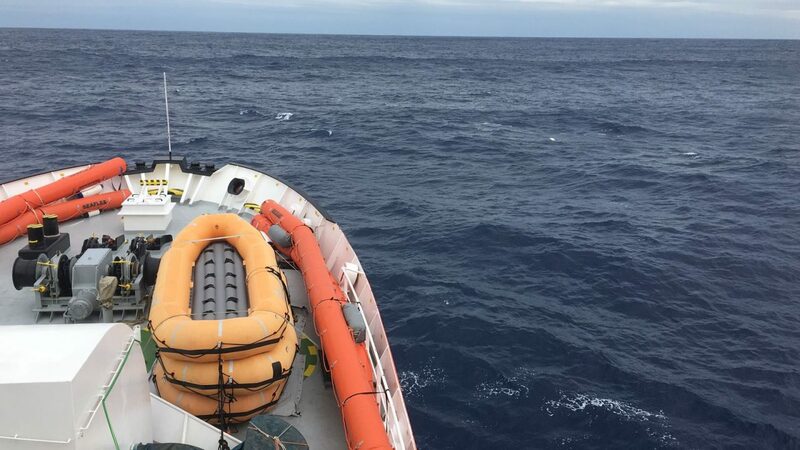 Aquarius repeats it has tried to contact them multiple times, via VHF, radio and email over the past four days to request coordination for SAR operations, without success. Aquarius asks ITMRCC for coordination as the best suited authority in the area. Aquarius informs it has altered course. ITMRCC says it cannot coordinate this SAR event. Please be informed that the Aquarius 2 has received an alert for a rubber boat in distress within the Libyan SRR at pos. 33-35.4 N 012-27-0E with between 100-150 pax on board. This information was received by the Maritime Patrol Aircraft(MPA) “Seagull 95.” Aquarius has tried to contact JRCC Tripoli but has had no answer (this has been consistently the case for a week regarding other SAR events). It is also important to note that we have consistently attempted to contact ITMRCC who in response informs us that we must contact JRCC Tripoli. Consistently, we have been trying all of this with no success. The confusion around the coordination of the rescue operation only delays the intervention and puts the lives of those in danger at further unnecessary risk. Since there is an ongoing conflict in Tripoli right now, perhaps JRCC Tripoli are unable to reply. At present, the Aquarius 2 is proceeding towards the position of the distress. Seagull 95 has been trying to contact *** ***** (callsign ******** MMSI **********); however, this appears not to have worked. 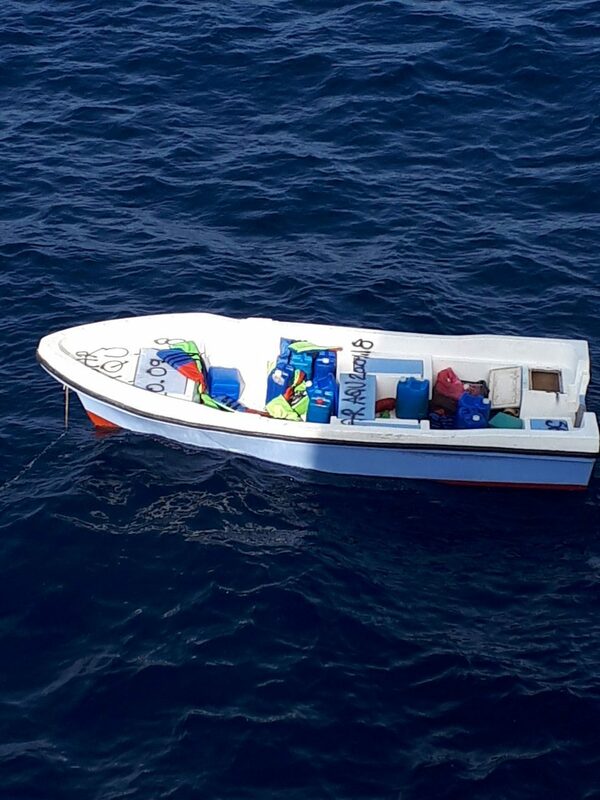 It is important to mention that *** ***** was in contact with MPA Colibri yesterday and was informed of a boat in distress with 30pax near their position. They informed the Colibri that they could not help and then moved away from the boat in distress leaving the people in danger. Again for this reason, the Aquarius 2 is proceeding towards the distress position and will assist immediately if needed as per International Maritime Law. We request that a RCC in a position to reply please coordinate this event for the safety of those people on board the boat in distress. Please send a InMarsat C alert to all vessels in the area. Weather conditions in the area are getting steadily worse over the coming hours and next days. For any other questions please refer to our electronic logbook, available at onboard-aquarius.org. ITMRCC calls Aquarius informing that the Libyan Coast has completed the rescue of the boat in distress. Aquarius asks for a SAR number and the position of the boat. ITMRCC is unable to provide this information. Aquarius calls ITMRCC to inform that a merchant ship has rescued or is rescuing people. Aquarius informs that either the information provided by ITMRCC earlier was inaccurate or there is a second rescue underway. Aquarius informs that it remains ready to assist any rescue operation and has two doctors, two nurses and a midwife on board to provide medical assistance in case of need. Aquarius informs European MRCCs that a rescue operation of a rubber boat in distress was conducted by a merchant vessel and informs of Aquarius’ medical capacities if necessary to intervene. Please be informed that *** **** at pos 33-39.5N 012-31.0E SOG 7.5 COG 046 carried out rescue operation of a rubber boat in distress. Aquarius has contacted *** **** to offer assistance if needed for any medical emergencies(Aquarius has 2 emergency doctors, 2 nurses and 1 midwife). Aquarius is in a position to bring all rescued people onboard and to transit them to a place of safety. As Libya is not currently a place of safety, legally the rescued people should not be sent back to Libya. Aquarius is standing by for any instructions from any competent RCC. Aquarius is currently sailing north at a speed of 2.7 knots. Aquarius’ current position is 34°01.12′ N, 12°51.22′ E…. Aquarius is currently sailing north at a speed of 2.7 knots. Aquarius’ current position is 34°01.12′ N, 12°51.22′ E.
At a speed of 8.9 knots, Aquarius is heading towards Malta in deteriorated weather conditions. Aquarius’ current position is 35°14.73 N, 013°10.79 E.
RCC Malta informs Aquarius that a transfer of the survivors will take place in international waters, only in two or three days time due to the current bad weather conditions. With winds of 20 knots and 3 metre waves, Aquarius is still waiting in international waters in front of Malta for a transfer of the 58 survivors on-board. RCC Malta informs Aquarius that the transfer of the survivors will take place around 11h this morning, south of Malta. RCC Malta provides Aquarius with order of disembarkation to be the following: 1. Medical cases 2. Unaccompanied minors 3….